Looking for great facilities, inspirational staff and motivated company? Look no further! 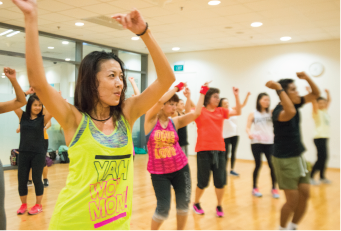 Find your favourite workout at the Singapore Sports Hub & get more for less with the Fitness Class Pass! 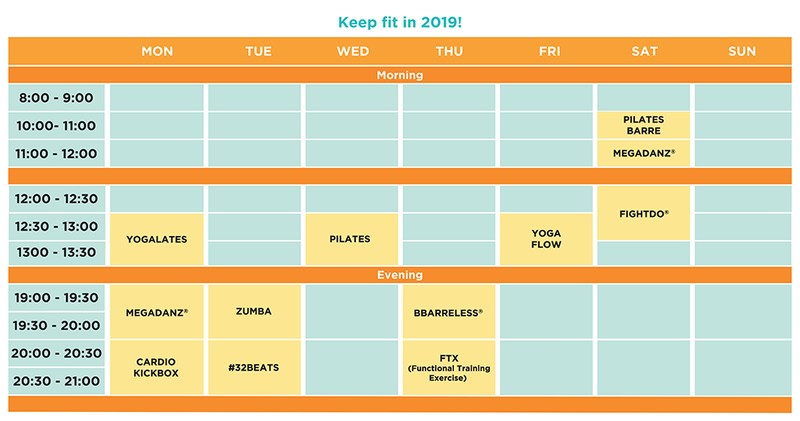 Held daily at Level 2 of the OCBC Arena, take your pick from our suite of amazing Zumba, Cardio Kickbox, Pilates, Megadanz and Yogalates classes, and feel lighter, leaner and stronger each time! *Schedule subject to change. Singapore Sports Hub reserves the right to amend, postpone or change the classes without prior notice. FREE body composition analysis for first time registrants! Shape up your mind and body with our 30-Day Fitness Class Pass and enjoy full access to all fitness classes from as low as $79! Grab your Fitness Class Pass today at the Sports Hub Gym Counter, Level 2, OCBC Arena and bring variety into your workout routine! Call 6653 9190 or email fitness.studio@sportshub.com.sg 3 days in advance to book your Fitness Class! You may book any 2 class spots with each booking request. Download our online Registration form here. Let’s do our part in keeping the Singapore Sports Hub a smoke-free campus, and being appropriately dressed for the gym. Bare feet and slippers are strictly prohibited in the training area. The minimum age for entry is 18 years. To create a fun and conducive environment for all, please read our Conditions of Entry prior to your visit.